This is Lowveld living at it’s best. 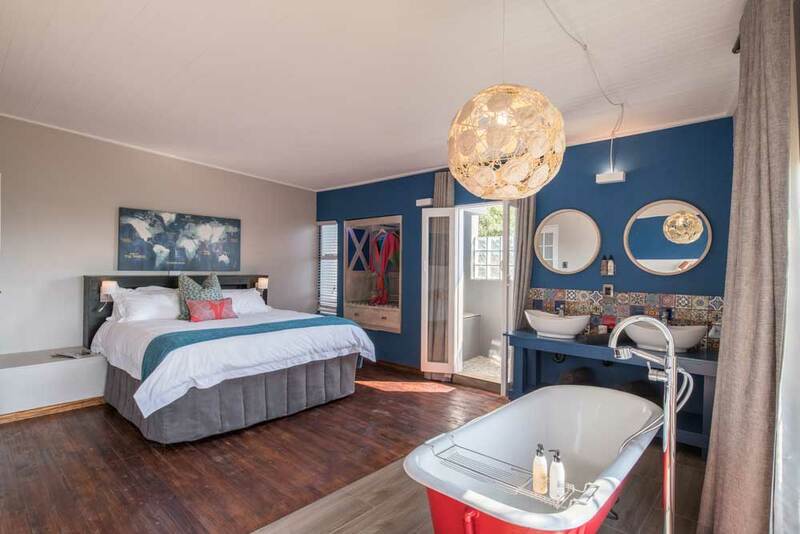 Featuring 7 beautifully styled self-catering apartments, celebrating South African design, flavour and flair! We accommodate 2 adults per unit in either our 2 King-bedded or 4 Twin-bedded units. The 2 King-bedded units each have a roll-away bed, sleeping a maximum of 2 children (12 years and under). 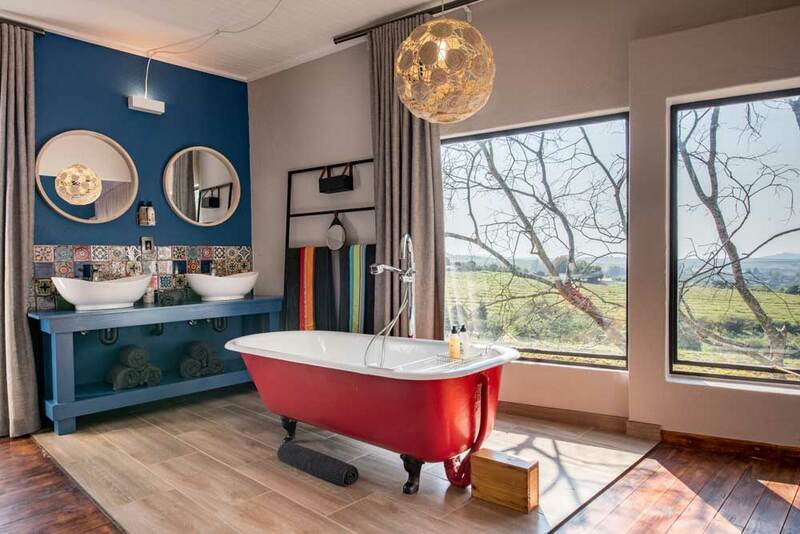 Our brand new double-volume family unit with en-suite King-bedded room upstairs, and custom made L-shaped couch – which with little fuss becomes two single beds – downstairs, comfortably accommodates a family of 4. Set amongst indigenous trees on a 40-hectare farm 5km from central White River, our location is a haven for duiker, white tailed mongoose and a multitude of bird species. 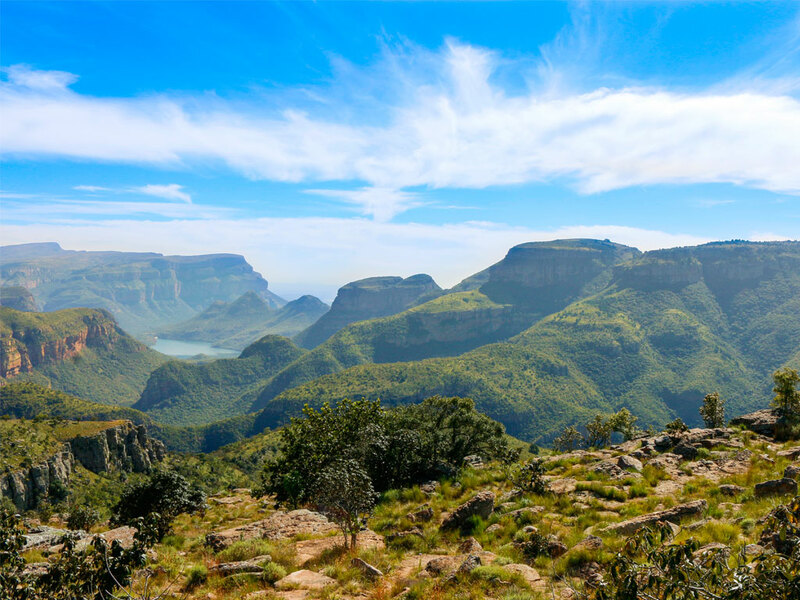 Only 3 ½ hours from Johannesburg and Pretoria. 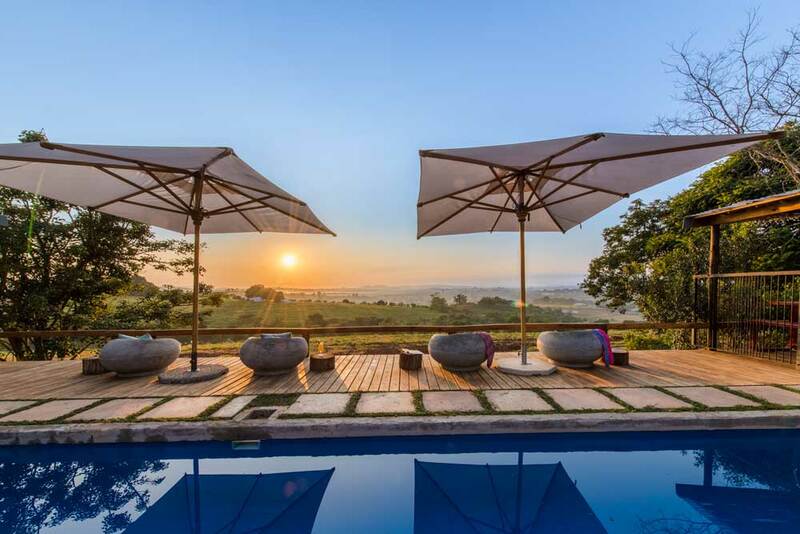 Ideal for mountain bikers, golfers, out-of-town parents needing to be close to schools for sports events, business travelers and visitors to the Lowveld. Mountain bike trails start just outside the gate where you can take on trails especially cut out amongst the forests. Routes featuring switch-backs and single track are perfect for adrenaline junkies. Road cyclists can tackle the hills leading up to Sabie or Long Tom Pass and earn bragging rights when uploading rides on Strava. We’re Ideally situated with easy access to the Kruger National Park as well as the Panorama Route. Kruger Mpumalanga International Airport is only 19km away, we’re a convenient stop before heading on safari. 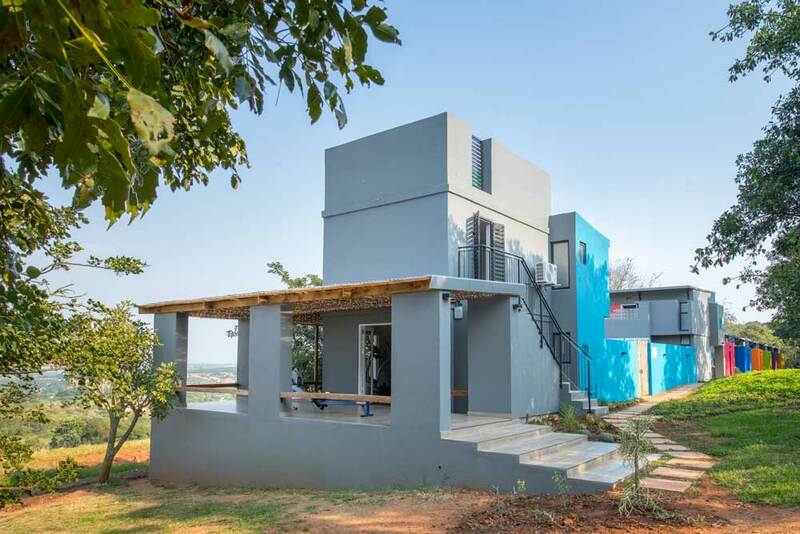 The perfect base between the city life of Nelspruit and forest trails for mountain biking, hiking and trail running. 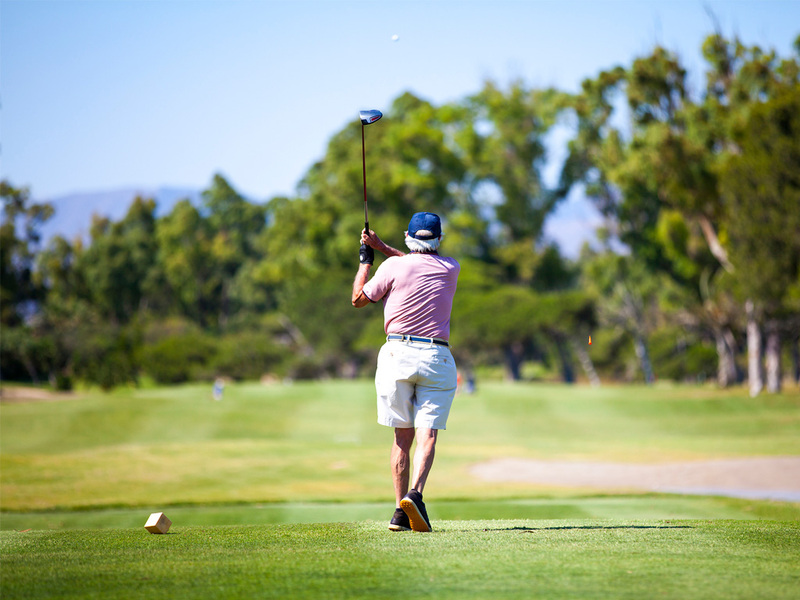 Golfers – White River Country Club is an 18-hole Championship parkland golf course (only 3km away from NAD Living). 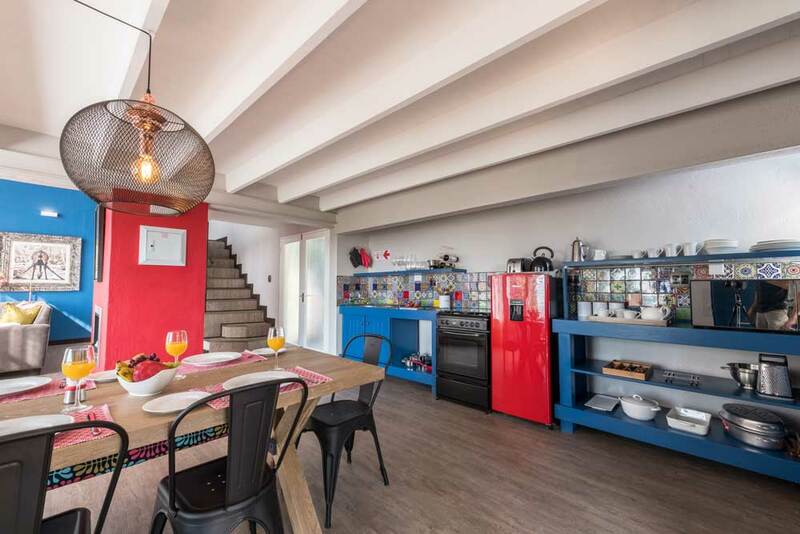 Seven beautifully styled self-catering apartments with six of the units accommodating 2 guests sharing, with the 2 King-bedded apartments able to accommodate families of up to 4 guests. Our brand new double-volume family unit with en-suite King-bedded room upstairs and custom made L-shape sleeper bed downstairs, comfortably accommodates a family of 4. World famous tourist sites are within an hour and half drive from White River. 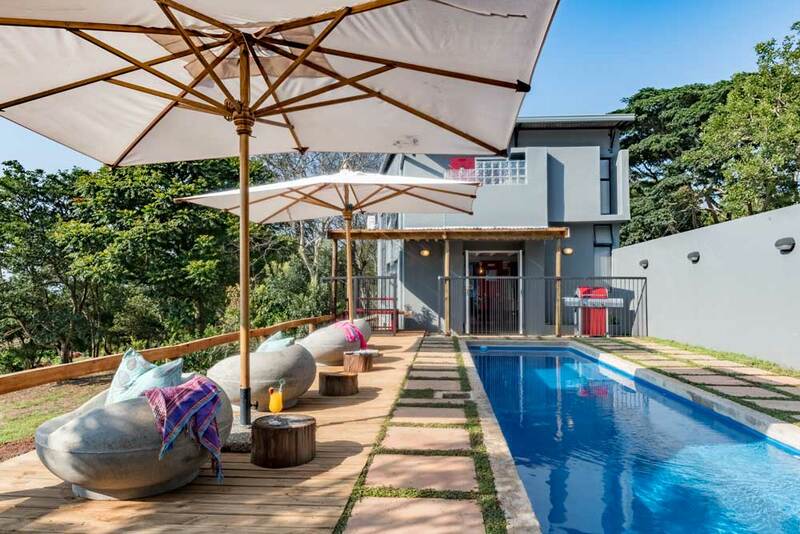 White River is a perfect base between the city life of Nelspruit with its malls, shopping centers, entertainment and the forest trails for mountain biking and hiking or trail running. The closest Kruger National Park entrance (Numbi Gate) is only 35km away. 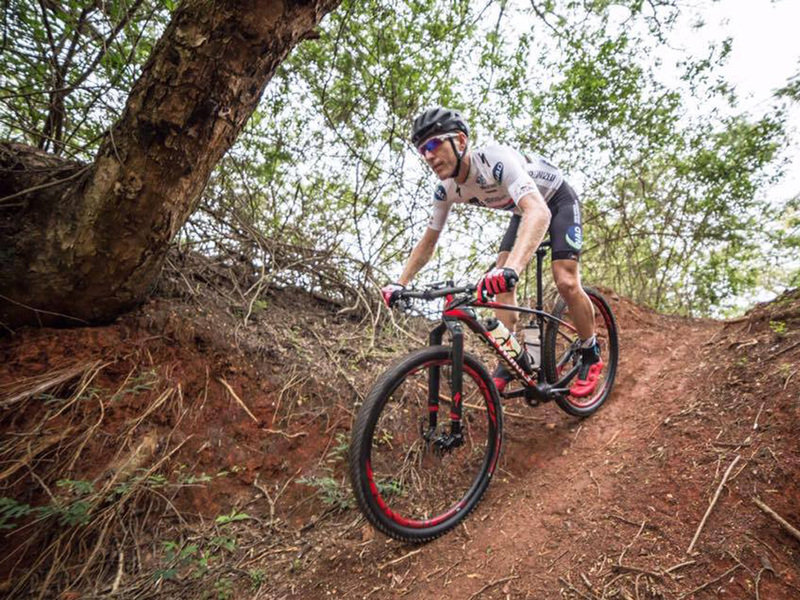 Cyclists – The famous mountain bike trails surrounding Sabie are in close proximity. Golfers – White River Country Club is a mere 3km away and boasts an 18-hole golf course. 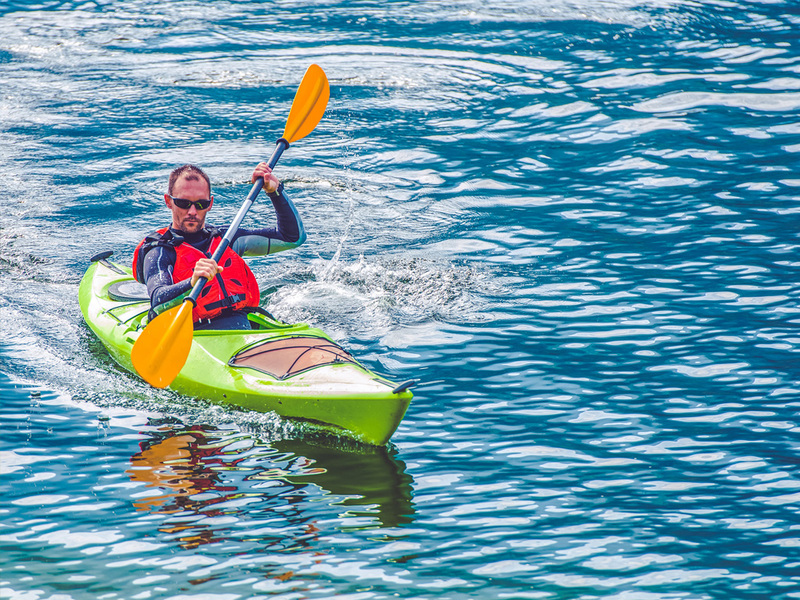 Canoeists – Lake Longmere (2km) a paddlers paradise with a long narrow dam and not too many speedboats to spoil your paddle. 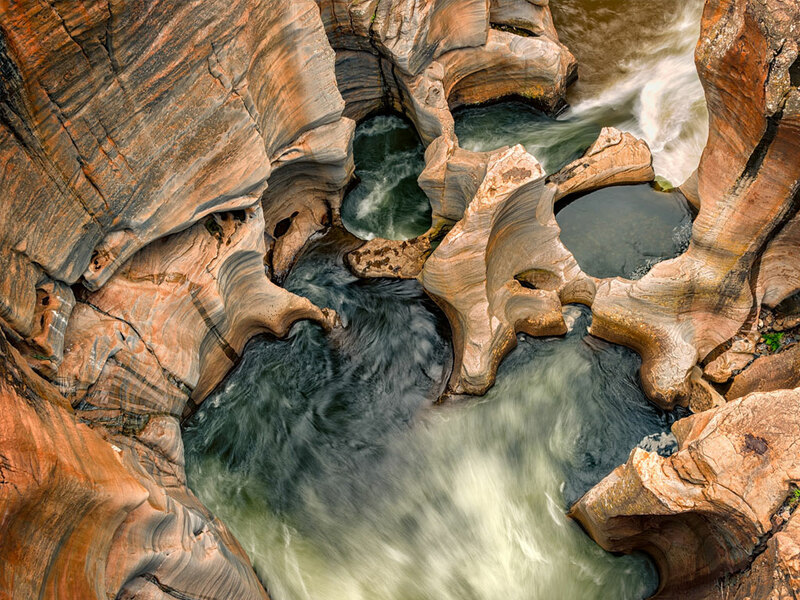 The quaint town of Sabie is en route to Blyde River Canyon, Bourke’s Luck Potholes and God’s Window. Stop off in Graskop and visit one of their famous pancake restaurants. 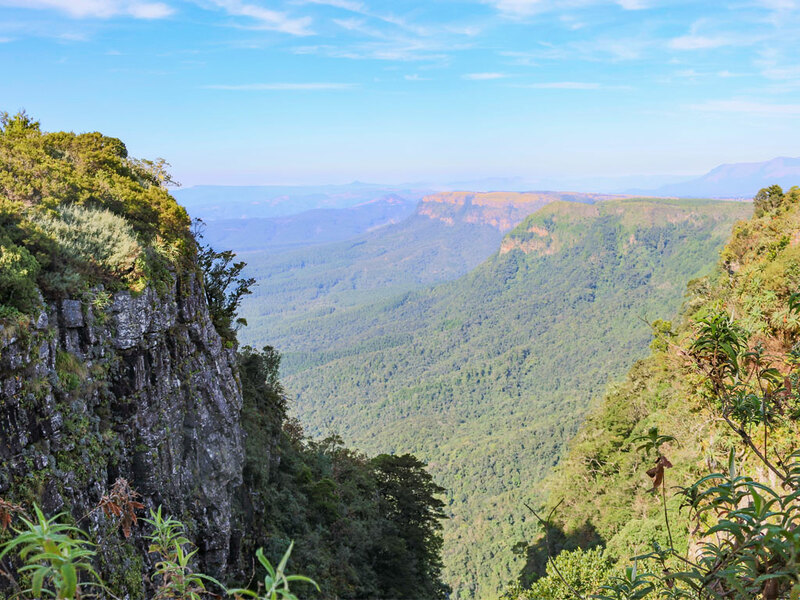 Kaapschehoop with its wild horses and breathtaking views over the forests and plains of the Lowveld is a mere 1-hour drive from White River.